Great way to lead up to maybe a fifth World Championship title for Yusuke Takanashi. 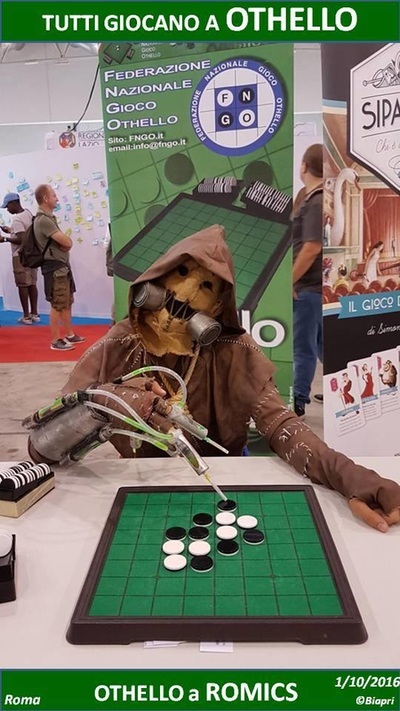 He won all his games. 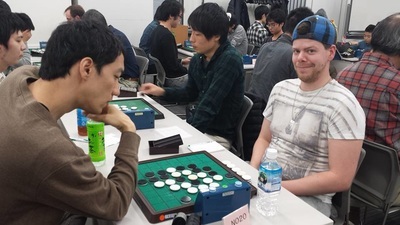 Second place for Ben Seeley who won 5 games and lost 1 against Meijin winner Masaya Kasai. It was an exciting tournament and also a lot of fun. 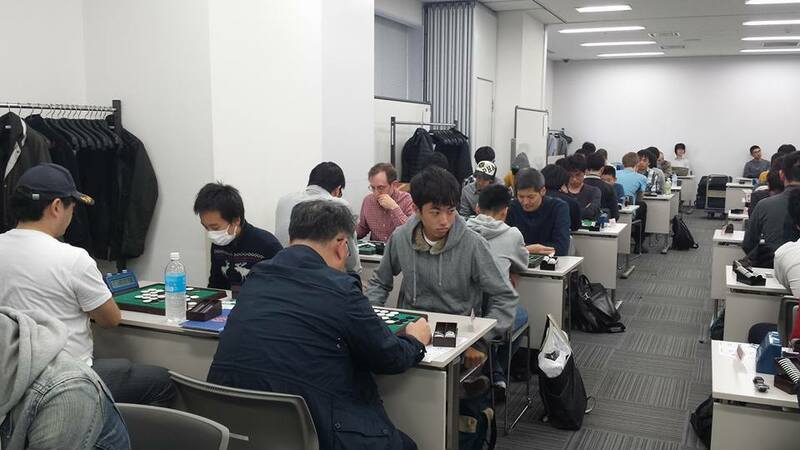 ​Belated results of the Kanagawa OpenI placed 2nd out of 56 players. I think this was a good result, it was better than I was expecting. 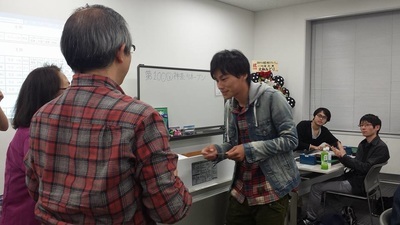 Yusuke Takanashi (surprise!) won the tournament with no losses at all. And I had a lot more discs than anyone else on 5 wins, but Takanashi had WAY more discs than I had, so his performance must have been quite dominating. 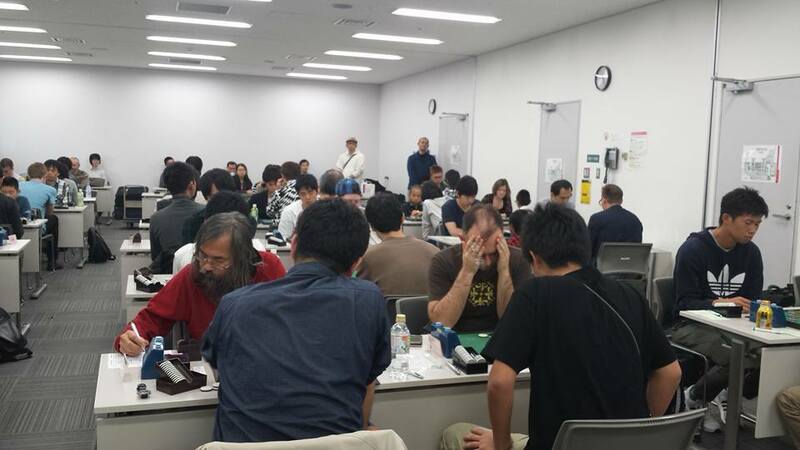 I really enjoyed meeting a lot of Japanese players again (Kyoko, Tiger Lady, Jo Nakano, Takashi Yamakawa, etc. ), as well as plenty of the players visiting for WOC, like Ilya and Leonid Shifman, the Germans (including Matthias Berg’s Dad, who I hadn’t seen in 14 years! 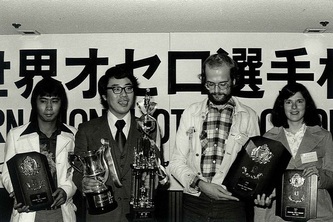 ), Imre Leader, the Swedes, Brian and Yoko Rose, Takuji Kashiwabara, etc. I wonder if it’s the most non-Japanese players to ever play in a Japanese tournament? I particularly enjoyed meeting Takeshi Murakami again. He has always been an inspirational figure to me, but now it’s just ridiculous. Who starts out amazing, gets a brain tumor and loses most of his voice (and all the other crap he had to put up with), and comes out even more amazing?!?! I could say it’s not fair he got a brain tumor, but maybe what is really unfair is that hardly anyone has his spirit and character, and that is the real tragedy in this world. 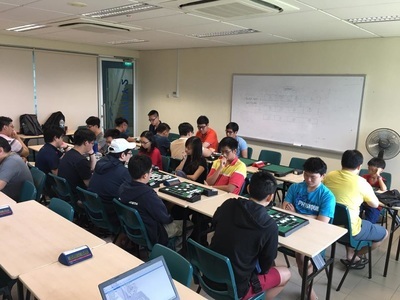 -It was a whole entertainment value all in itself to play a tournament with 60+ people crammed in a tiny room. I am pretty sure in America the fire codes would not have allowed it! But I enjoyed the effect. – My brain truly felt off during the tournament, which was part of why I was surprised to get the result I got. In one game at the end I spaced out on the order of discs I needed to flip, which was embarrassing even though it didn’t cost me the win. And in another game, after it was over I kept insisting that my opponent had gotten 28 discs rather than 27 discs. Finally I prevailed on him that he had gotten 28 discs, and filled out the form and turned it in. 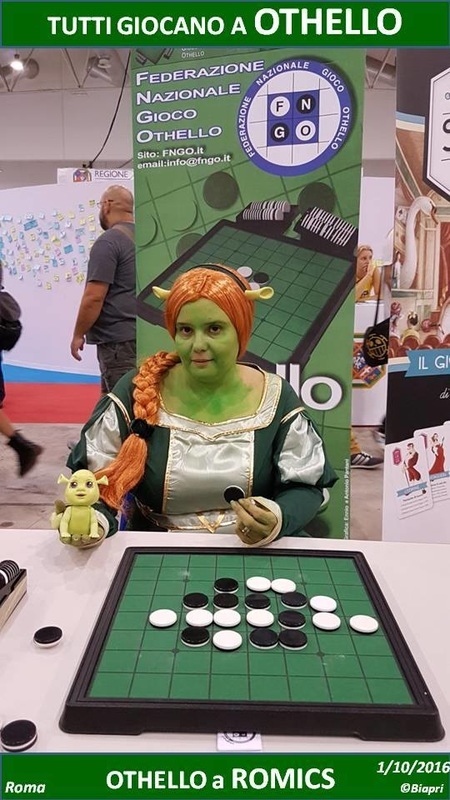 Then I checked LiveOthello and saw that my opponent had gotten 27 discs… and the position on the board matched, so apparently I also couldn’t count properly that day, either. -Even more surprising: my average error rate during the games was actually the lowest it has ever been in a tournament. It was probably just luck, since it was only 6 games it’s hard to say, but I’m hoping it was more than just luck. And my midgames were bad, but it seemed to force me to play really good moves after that (partly by narrowing my choices), so my endgames were good enough to make up for the bad midgames. -In the game I lost, to Masaya Kasai (ruru), he literally played a perfect game, until the end of the game when he gave two discs to me, who was but a humble Othello beggar at that point. It’s kind of hard to beat perfect play, so… And I am quite sure that has literally never happened to me before in a tournament, so my hat’s off to him. And after the game there was some nice analysis from Takashi Yamakawa, Takanashi, and Kasai. And Kasai did some moves which were the only winning moves, which none of the rest of us thought were right, so he was quite brilliant in that game. 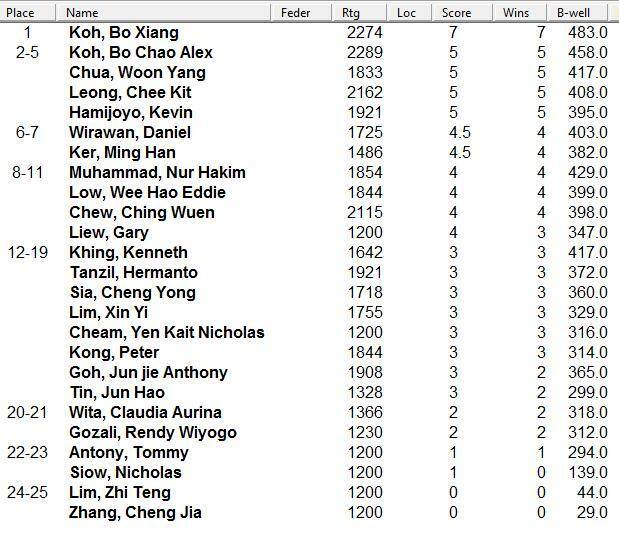 Bo Xiang Koh​ won the 14th Singapore Open with 2 points more than the runnerup, his elder brother Alex. At the WOC in Mito he also stayed ahead of his brother. Team Singapore was third team at the WOC. His opponents in Mito will not be that easy! 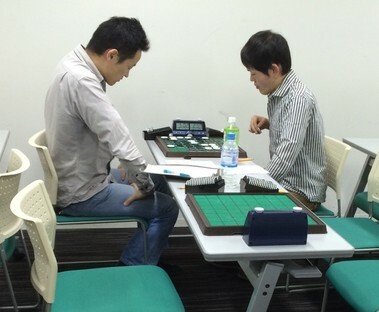 ​Yusuke Takanashi won the tournament with 6 wins and 1 loss (against Makoto Suekuni 31-33 in the final round). 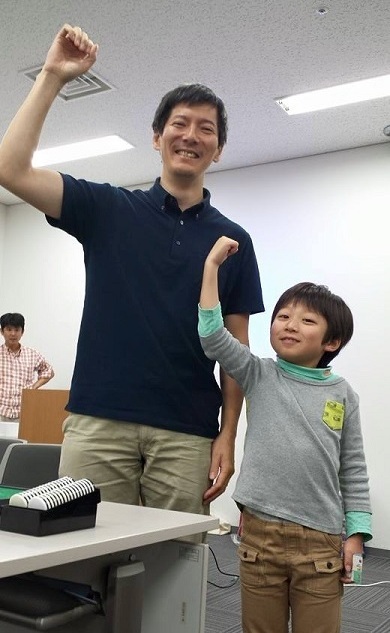 Second place for Daisuke Kamikura, 5 wins and 2 losses and third place for Makoto Suekuni who also scored 5 wins and 2 losses. 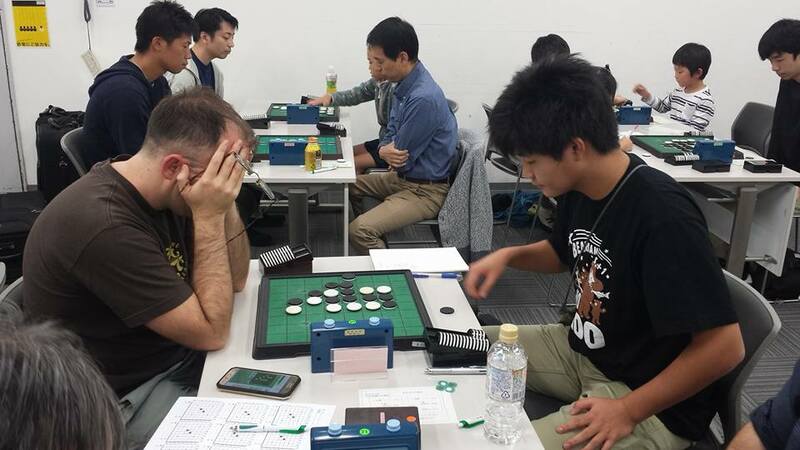 Yasushi Nagano, member of WOC team Japan, scored 4 wins and 3 losses and finished 4th. 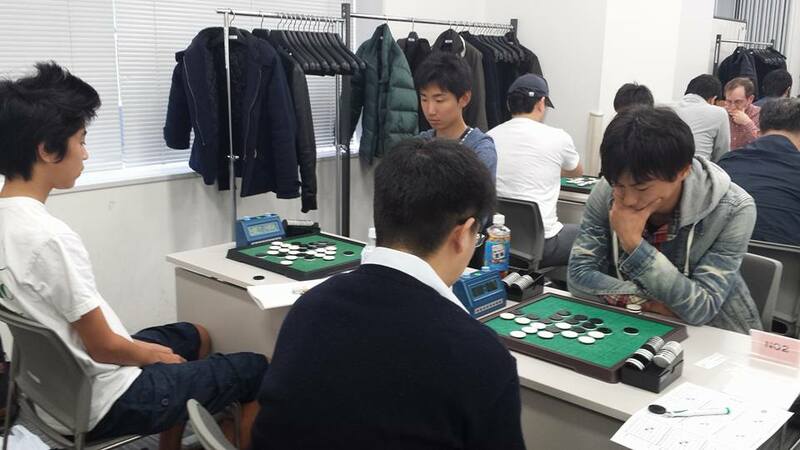 Nobuaki Mitsuya, another WOC player, finished 5th also with 4 wins and 3 losses. Takeshi Murakami and Tetsuya Nakajima, also had 4 wins. We asked Yusuke how he prepares for the World Othello Championship: "I qualified for the WOC only quite recently, in September. As a result I haven’t been able to do much, but I am catching up, mainly by playing in as many tournaments as possible. I will play at the 100th Kanagawa Open on October 30th, too". Another Othello tournament organised by the Czech Othello Federation, this time for school students. 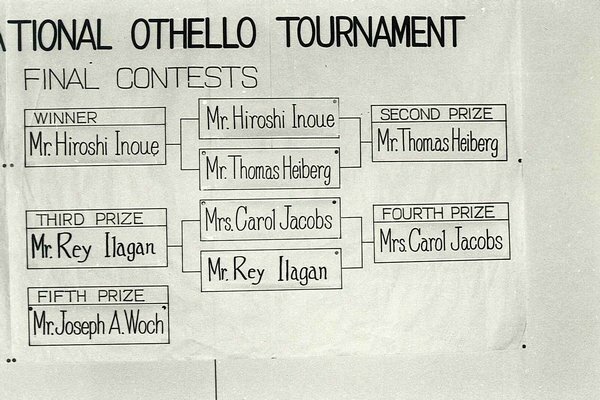 I am sure they all enjoyed a fun Othello tournament. Winner with 6 wins and 1 loss is twelve year old David Tran. Congrats! 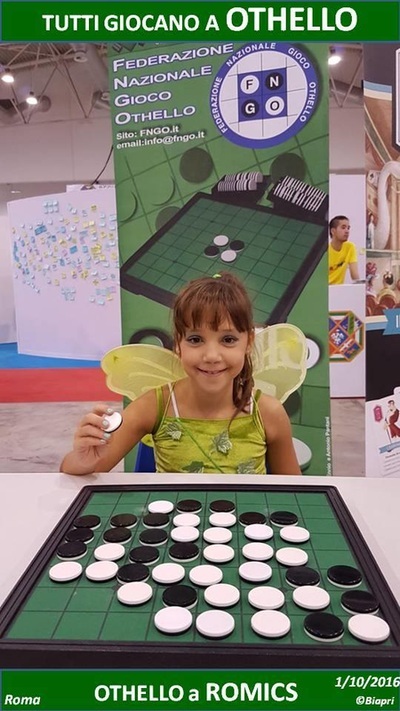 11 year old Alexandra impressed the judges with her strategic thinking and rationale within her competition entry form, showing her to be a potential Junior Othello World Champion. 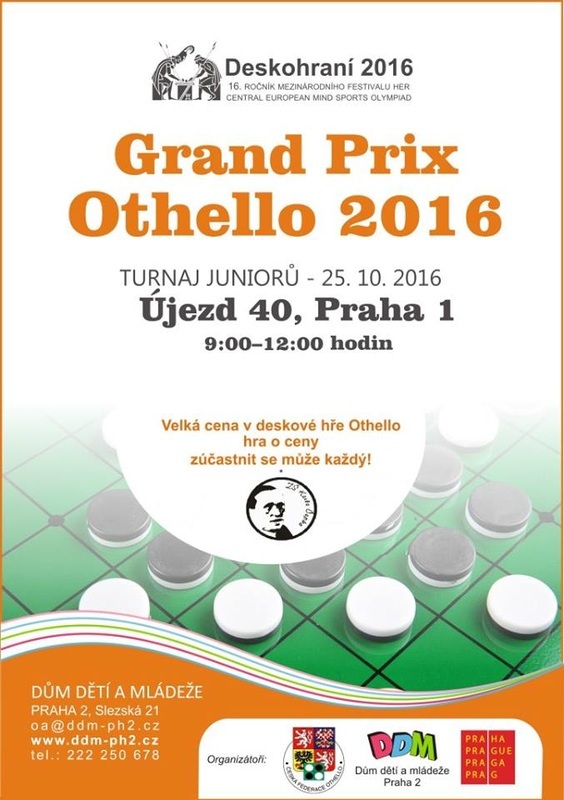 Following her win, Alexandra will visit Japan to compete at the Junior Othello World Championships in November. Between now and then, Alexandra will be mentored by representatives from the British Othello Federation in preparation for the event. 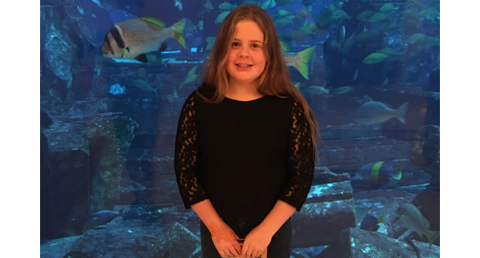 John Adams Leisure is providing sponsorship for Alexandra to attend the event, covering all expenses for her and her mum, who will accompany her on the trip to Mito at the end of October. ​Today October 17th, The WOF Office shipped 7 boxes filled with Othello games to three W.O.F. federations that plan school events. This year Thierry Lévy-Abégnoli and Marc Tastet took turns for the top position at the IdF. Marc won IdF 1 and 2, Thierry won IdF3, Marc won IdF4. Thierry won IdF 5 and they both won IdF6! As I was waiting for the results, I was thinking, who will it be this time..... Marc,Thierry or again both? Serge Benoit had to withdraw and was replaced at short notice by Stéphane Nicolet. The tournament finished with two winners, the WOC computer wizards, Stéphane Nicolet and Emmanuel Lazard! Stéphane started wth a loss against Michel Busuttil but won the next 4 rounds. Emmanuel Lazard lost only to Stéphane in round 4. The Othello News website was launched August 26th 2011. Othello News started as a hobby and filled the gap when the Othello Wiki Book Project went offline. The news it brings connects players from all over the world. To make articles interesting for readers, the main extra ingredients (besides results) are replayable games, tourney reports and pictures. 18 out of 30 federations have a homepage mostly with general information. 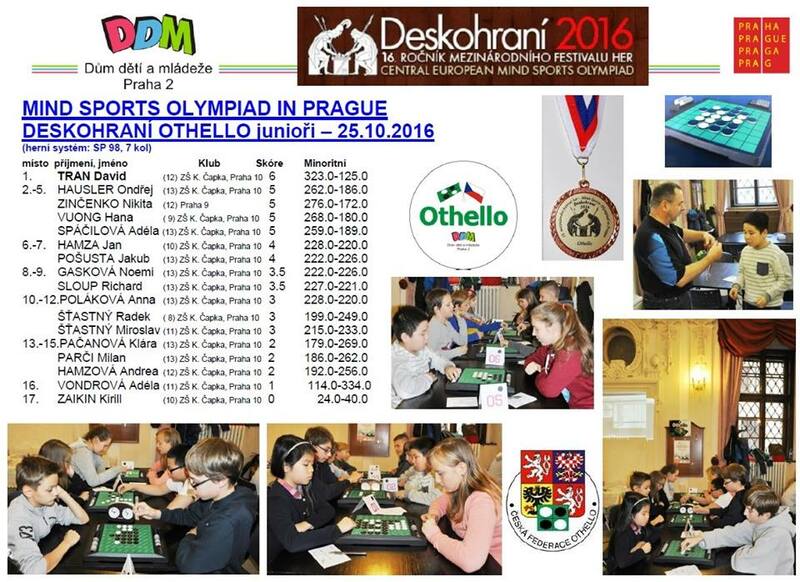 For Othello News the sites with quick news-updates and tourney reports are a great help. In a perfect world the Othello info about recent and upcoming tournaments would automatically be send to Othello News by the National Federations as requested at the Annual Meeting in Stockholm by the WOF. 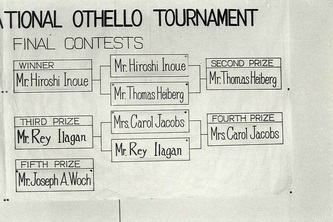 I want to thank all those Othello friends that send in newsworthy information. But I still spend a lot of time hunting for interesting material on the web. This last September we had 697 unique visitors per week, 2.956 pageviews. Maybe it is time to professionalise what started as a hobby. -Does Othello News need a domain name? Will moving the site mean a lot of work getting all the pages correct? Nothing is more boring than redoing old stuff. 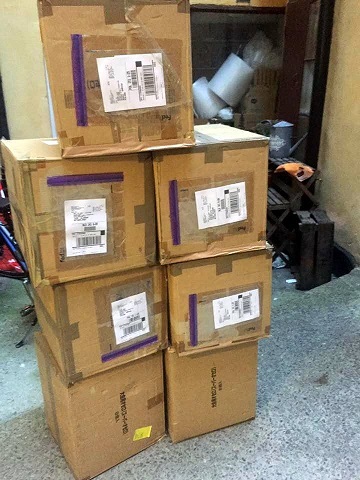 -Othello News needs not a trickle, but a downpour of info and pictures and whatever interesting stuff to be send to its desk by individual players and by National Federations. -An international Othello Agenda not collected by ON, but under WOF supervision. 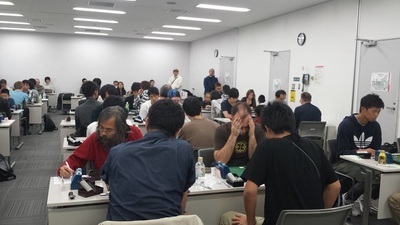 -I was present as reporter at WOC’s since 2012 (except for WOC 2014 in Bangkok) About time to be on the spot at one of the main Japanese tournaments and other special tournaments. Any travel funds available? 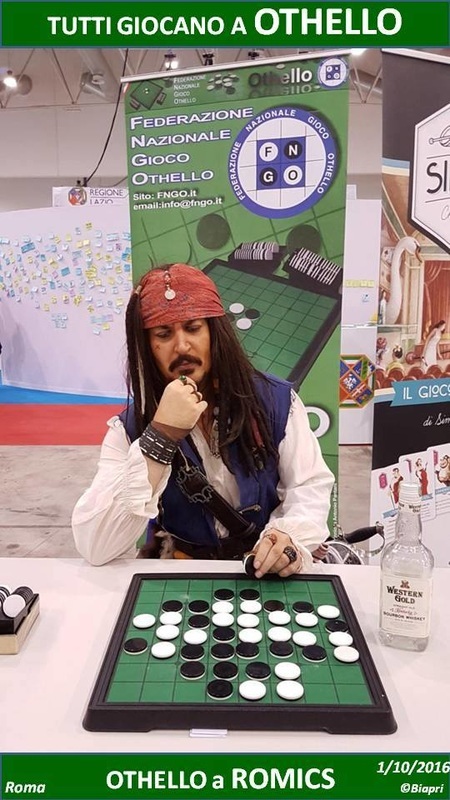 -It is great to be able to show replayable games, thanks to the players that send them in at my request and thanks to the wonderful LiveOthello site. I would like to present more game analysis. For that I need someone who has Othello and teaching skills. 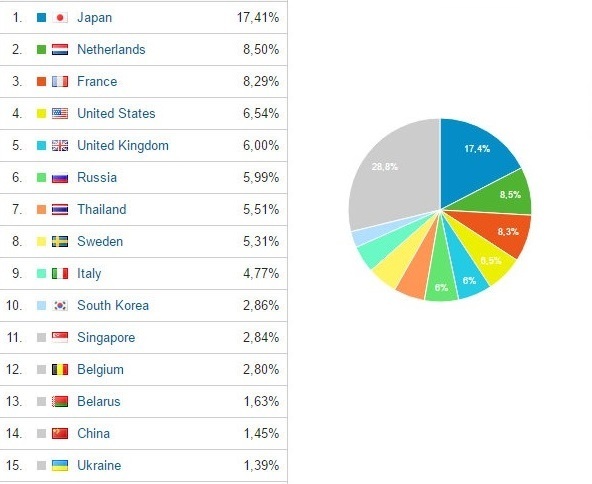 -Othello News website has a lot of Japanese readers. Is the news ON offers on Japanese tournaments enough as it is? The last two years have been an exciting period for World Othello Federation (WOF). First of all, the conflict between Anjar and Megahouse that lasted for several years came to an ending. This conflict implied that many plans and activities had to wait. 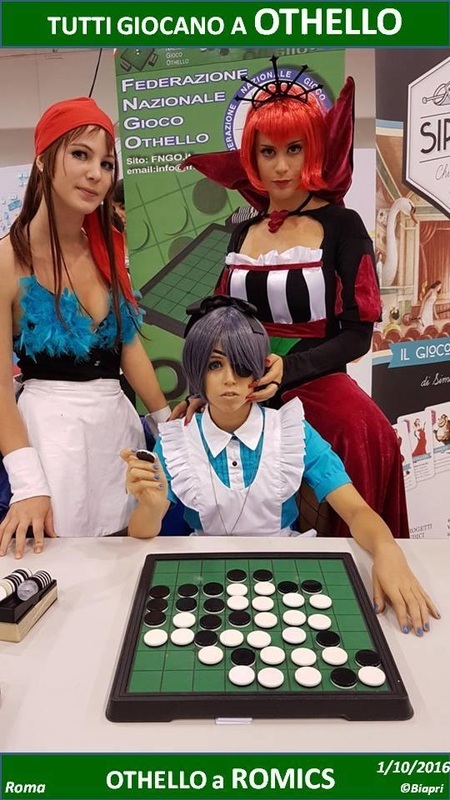 But now, with MegaHouse as the worldwide owner of all rights, title and interests in the Othello, it is possible to start developing Othello all over the world. New contracts will be signed with both new and excisting licensees, and they will be committed to a stronger relationship with the WOF. This is a relationship that also the national federations will benefit from. WOF have established a good relationship with Megahouse. Together we want to increasing the prevalence of Othello all over the world. We want to strengthen Othello in countries that already have a national federation as well as help to establish federations in new countries. 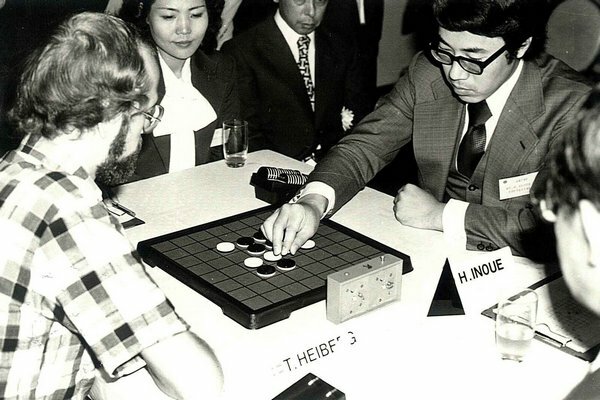 World Othello Championship (WOC) have been the main event for WOF for many years. In spite of great challenges to get sponsors the last years, we have managed to arrange WOC in a very good way. A lot of people have been involved in this events and have done a tremendous job. ​With help from sponsors WOF have had the opportunity to establish a WOF Office. 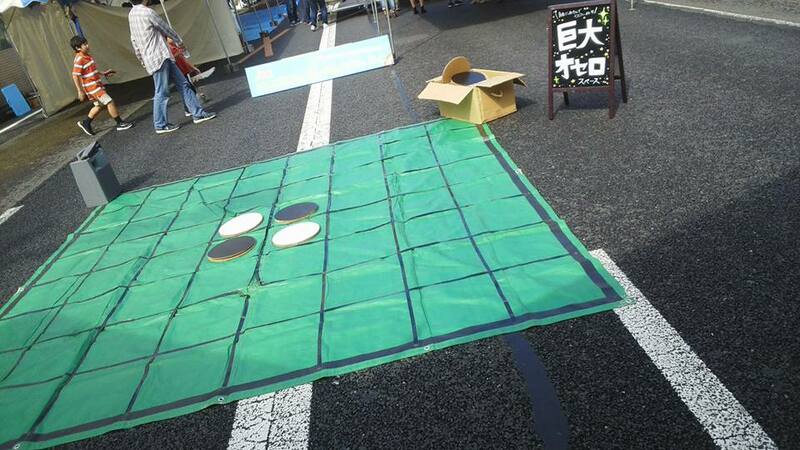 I see this as a necessity for WOF if we shall manage to develop Othello together with our sponsors. The WOF Office handles communication with our members and new federations, as well as having contact with our sponsors. WOF office is also important in coordinating activities with the different WOF committees. It is a lot of people that do a great job for Othello and World Othello Federations, and I want to thank you all. The confederations and federations are very important in development of Othello, and I’m glad to see that the activity is growing and that new federations are established. 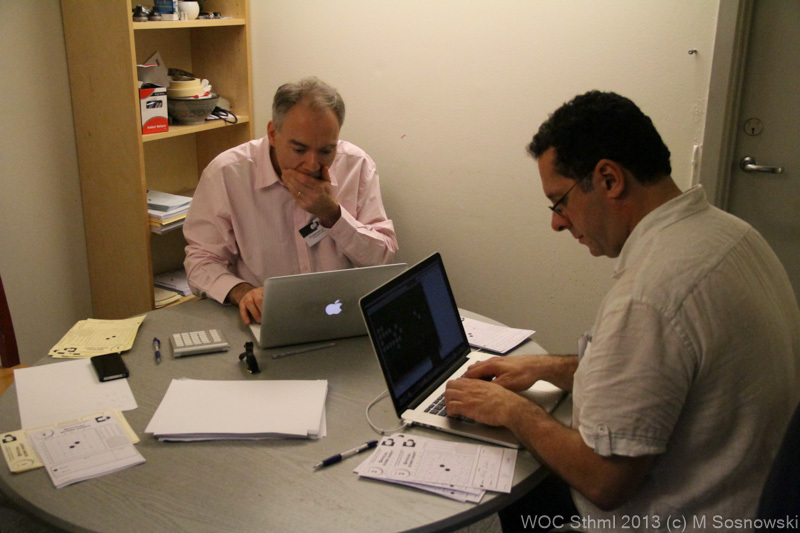 Also many people are involved in the important work that the WOF committees are doing. Your engagement is essential for WOF. 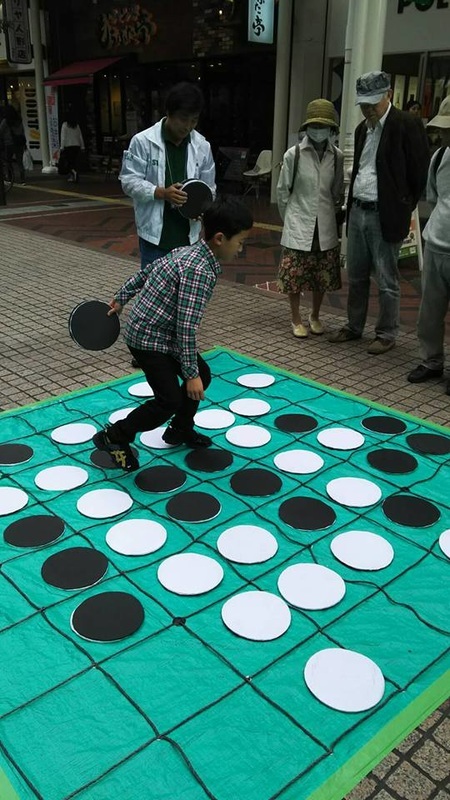 Burn those calories with Giant Othello! Kim and Mads from the famous LFOF Othello-club in Denmark, play 2x5 min. Othello on a really big board. 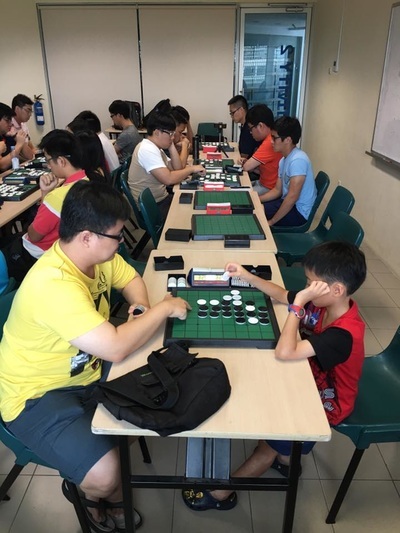 Mindsport that makes you sweat! 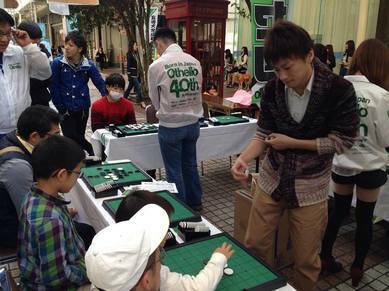 The 100th Kanagawa Open will be held on Sunday, October 30th. 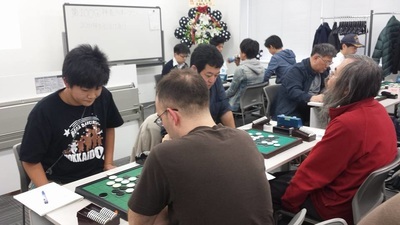 To celebrate the centennial anniversary of the tournament, we will invite the past winners of this tournament, and players who are going to play at the World Othello Championships in Mito, with the entry fee free. 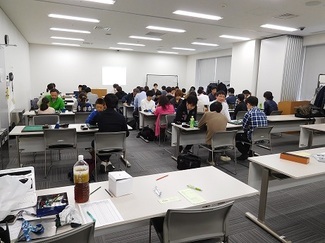 The venue is Muza Kawasaki Symphony Hall (Conference room 1-3 on the 4th floor), which is just one minute walk from Kawasaki Station and can be reached from Shinjuku (in Tokyo) in less than 40 minutes by train and less than 10 minutes from Yokohama (in Kanagawa). The 40th World Othello Championships will start on Tuesday, November 1st. 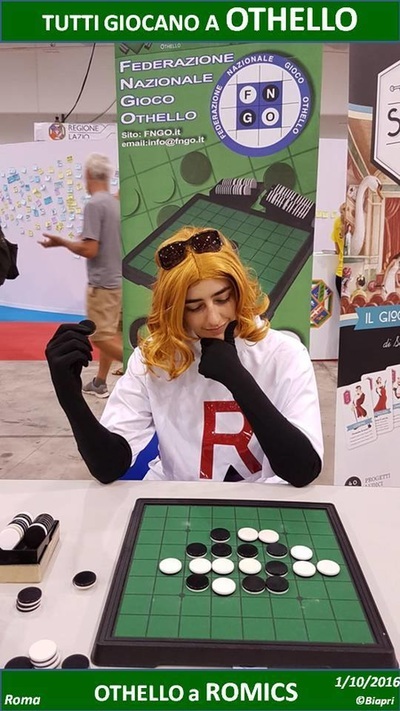 So why don’t you come to Japan a few days earlier, enjoy sightseeing in Kanto area, and play in the Kanagawa Open before you get all serious in Mito? 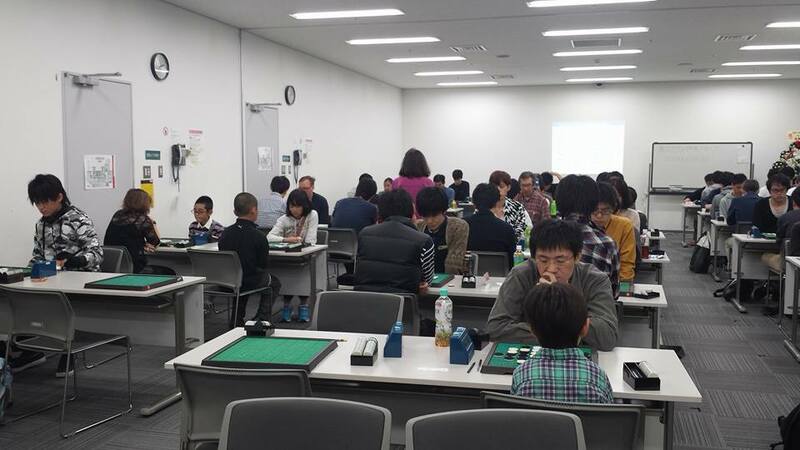 It will be a nice warmup for the WOC and also a great occasion to meet many Japanese players who didn’t qualify to play in Mito. The tournament (20 minutes per player, 6-round swiss) will start at 13:30 (please be at the venue at least a few minutes earlier). Kawasaki Station can be reached in less than 30 minutes by train from Haneda International Airport, and about one hour and a half from Narita International Airport. So even if you are arriving in Tokyo in the morning of Sunday you will easily be able to make it to the tournament site. If you can’t find the Muza Kawasaki Symphony Hall, you can call me (Kyoko Takeda) at 090-9320-3903. I or some other player will go to the Kawasaki Station to fetch you. 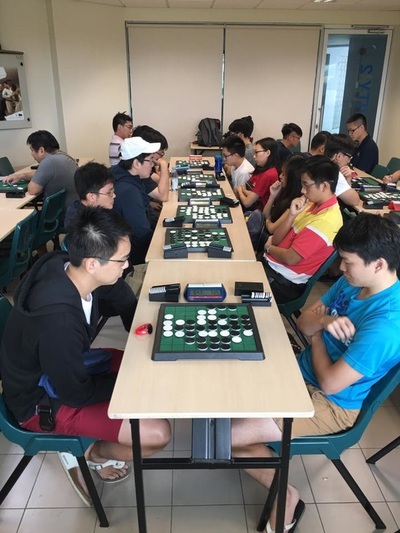 The tournament will end at around 19:00, after which a casual practice session will be held until 20:30, for those for whom six games of tournament play won’t be enough! 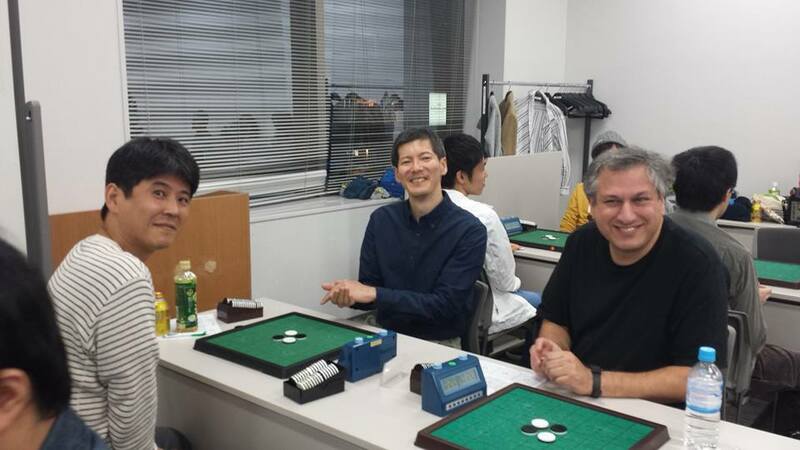 We are looking forward to seeing you all at the Kanagawa Open. 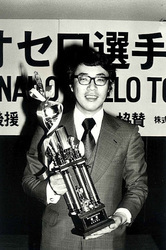 ​Takanori Oshimizu won the tournament with 5 wins and 1 loss. After 5 wins, he lost in the final round against the runner-up Hisakazu Sato who also scored 5 wins. 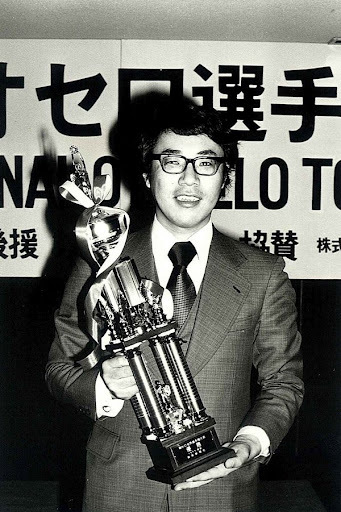 Third place for Kenta Saito with 4 wins and 2 losses. Othello News sent a list of questions to all these players. The first ones to respond were Yan Song, Hisako Kinoshita, Ben Seeley and Nicky van den Biggelaar. I hope the rest will follow soon. Check it out at the WOC 2016 Interview Page. WOC list of players sorted by rating can be foud here. Team Israel at WOC 2016: Leonid Shifman, Ilya Shifman and Pavel Radzivilovsky. All three were present at the Kfar-Saba Open. Leonid won the tournament by a hair with 4 points, his son Ilya also scored 4 points. Leonid lost 24-40 against Lev Radzivilovsky in round 2 but secured the tournament win with a 43-21 win against Ilya in the final round. 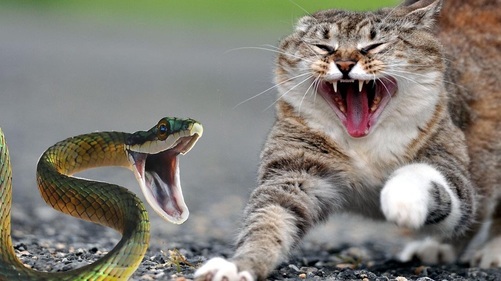 Othello Openings: I know cats and snakes, boats and roses, what are tanida's? Andreas Höhne introduced me to the Tanida Opening maybe 16 years ago. Back then I took the name for granted, I did not realise it was actually someone's name. Over the years I have had the pleasure to meet some of the people that gave their name to an opening and their openings are shown below. Did I forget to show yours, so sorry, mail me. A list of openings can be found here. XOT tournament played by Swiss system over 5 rounds of 20 minutes thinking time per player. 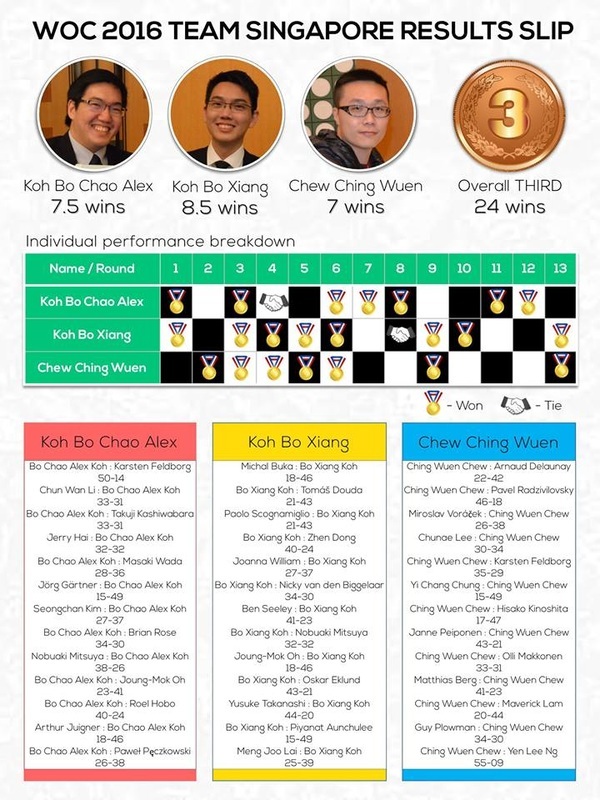 8 opening moves are determined by an XOT-program. ROMICS in Rome. 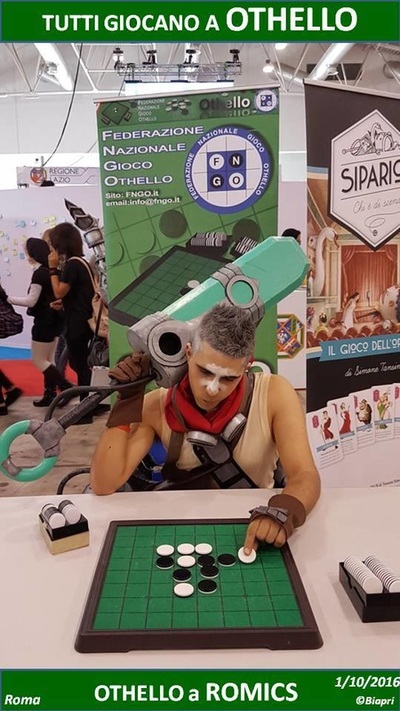 Tutti giocano a OTHELLO! Everyone plays Othello! 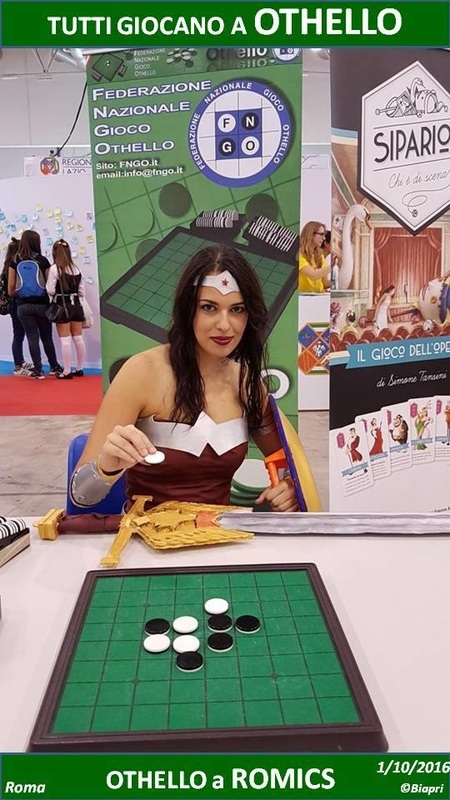 Just like last year, the most amazing people played Othello at Romics game fair in Rome, October 1st. Lucky for us, Biagio Privitera was there not only to play and to promote the game of Othello. He took his camera and shows us a colourful world, not restricted to black and white. More pictures can be found here.